This tour only operates during the dry season (May – October). If you are interested in travelling outside of these dates, check out our wet season 2 Day Kakadu Tour or 3 Day Kakadu & Litchfield Tour, which operate November – April. Please note: we have limited space on our 4WD transportation and therefore luggage is limited to one medium sized soft bag or backpack (max 10 kgs) and a day pack. Large backpacks or suitcases cannot be accommodated and should be left at your accommodation in Darwin for the duration of the tour. Sleeping bags may be hired for $15 to be paid on the day of your tour. Please let us know when you book if you require a sleeping bag. 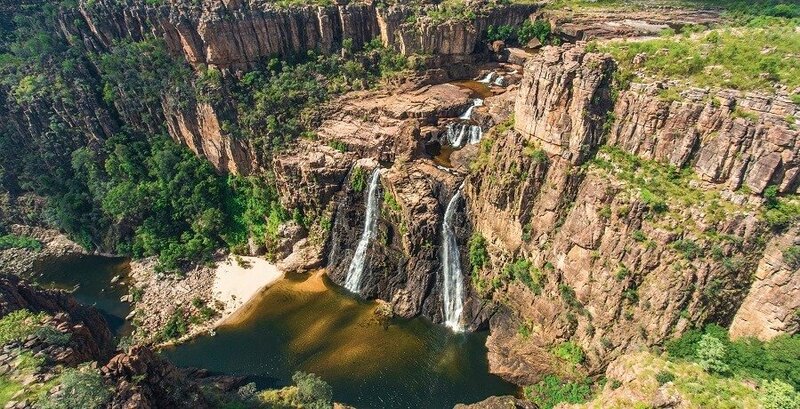 The Kakadu National Park is a breath-taking landscape filled with mesmerising waterfalls, ancient rock art, and sprawling plains, all of which you can discover on this three-day tour. We’ll take you to centuries-old art spots, refreshing plunge pools, and incredible lookout points as you learn more about this fascinating part of the country. 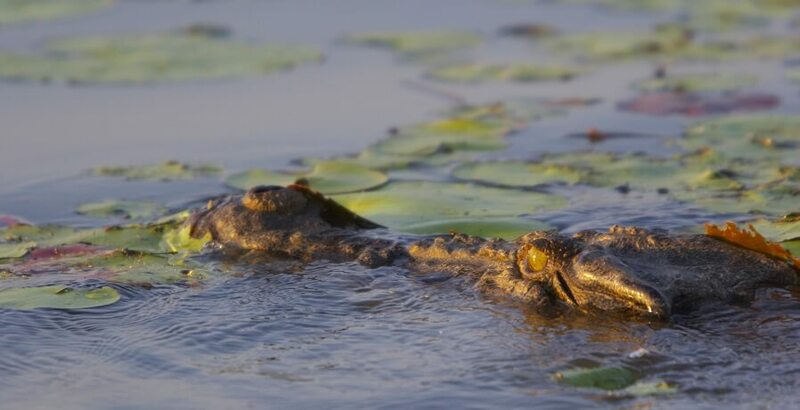 We’ll kick things off with an amazing wildlife cruise on the Corroboree Billabong, where you can spot some of the region’s best-loved creatures, before we head into the Kakadu National Park. Once there, we’ll break for lunch and more crocodile spotting on the banks of the East Alligator River. In the afternoon, we journey to Ubirr Rock to discover some of the ancient rock art that decorates many of the landmarks. 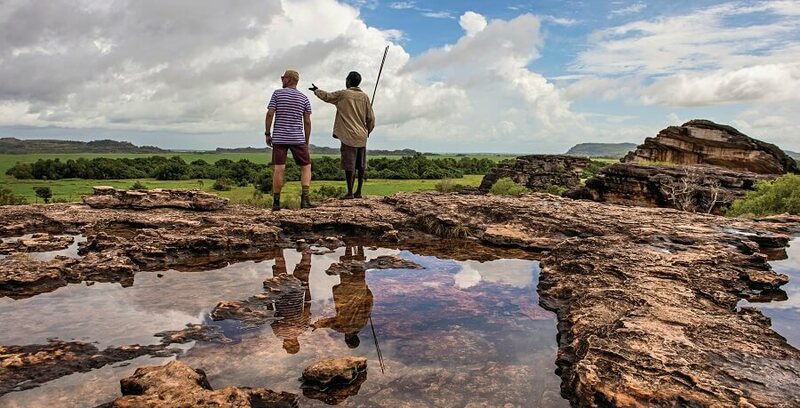 Be astounded by the awesome views of Arnhem Land and the Nardab floodplain as you hear about the Indigenous culture inherent to the area. We’ll camp at an exclusive safari camp at Garnamarr after a delicious traditional Aussie BBQ complete with crocodile, buffalo, and kangaroo. The day starts with a 4WD adventure to Twin Falls after breakfast. We’ll do the escarpment walk to the top of the falls and splash around in the clear pools to cool off. Afterwards, we’ll make our way to Jim Jim Creek for a spot of lunch and another short walk through the monsoonal vine forest scenery. Enjoy a relaxing afternoon at the base of Jim Jim Falls as you splash about in the plunge pool or lay about on the beach. We’ll camp at Garnamarr again and have another Aussie BBQ. 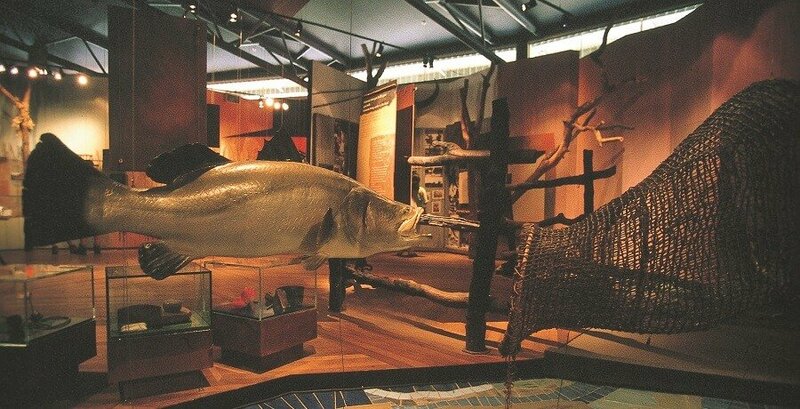 The third and final day starts with a cultural encounter at the Warradjan Cultural Centre, where you can learn about the indigenous people of Kakadu. 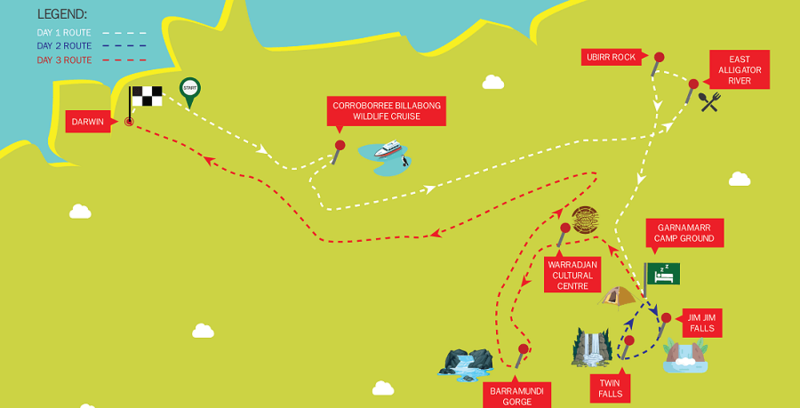 Afterwards, we’ll make our way to the beautiful Barramundi Gorge for a 1km walk around the stunning pools. 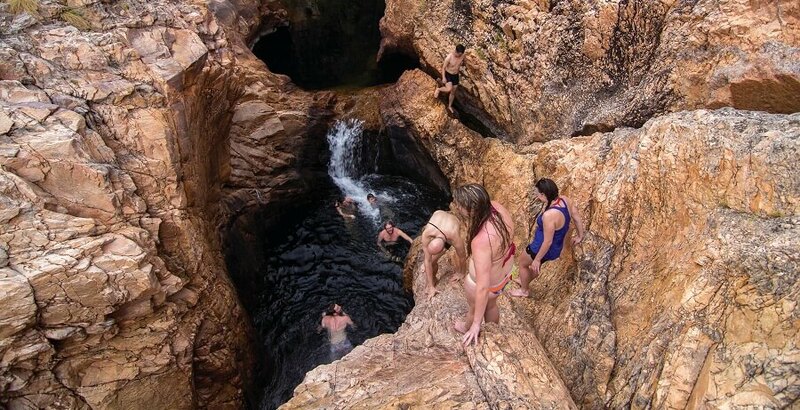 Cool off with a dip before we head home via a stop-off at White Lily Billabong. 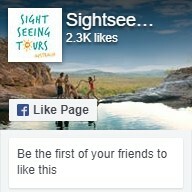 Why not check out our other Kakadu Tours?